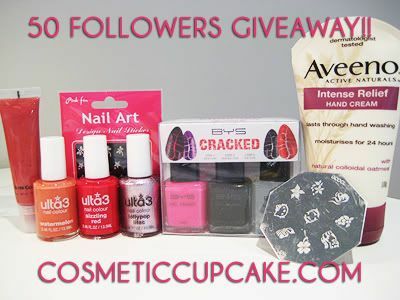 Cosmetic Cupcake: 50 followers giveaway - win Hello Kitty GCOCL plate A02!!! 50 followers giveaway - win Hello Kitty GCOCL plate A02!!! Thank you so much to all my wonderful followers, I am so excited and grateful to have each and every one of you! Your wonderful comments and thoughts are very much appreciated =) I started this blog to help me relax and to keep me sane through fulltime work and study and it's been wonderful sharing it with all of you. I’d like to show my appreciation by having a little giveaway featuring a few of my favourite products, some which I’ve featured on my blog. GCOCL A02 plate with Hello Kitty! *For the lovely ladies already following my blog you will receive 1 extra entry! 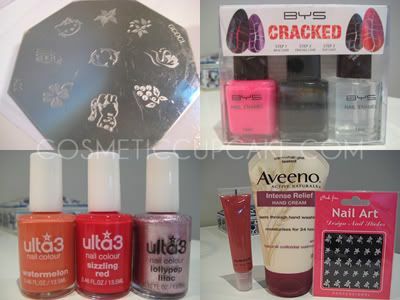 Giveaway is open internationally and will close at 8pm on July 1st 2010 Australian EST. Good luck!! And thankyou as always for stopping by!